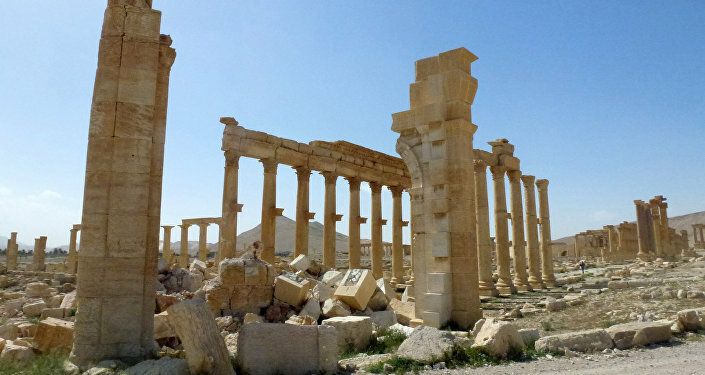 Daesh terrorists have managed to enter the ancient Syrian city of Palmyra because they used so-called "cloud tactic" to secretly move in small groups, said Alexander Perendzhiev, a political and military analyst and lecturer at the Plekhanov Russia University of Economics. Earlier, a source told RIA Novosti that Palmyra residents were evacuated and the Syrian Army was engaged in fierce clashes with Daesh militants at the outskirts of the city. According to the Russia reconciliation center in Syria, over 4,000 militants have been engaged in an attempt to take control over Palmyra. "Syrian terrorists use a very sophisticated tactic of moving in small groups, so-called 'cloud tactic.' Disguised as Bedouins, locals or even personnel of the Syrian Army, they arrive from different directions and concentrate in one unremarkable location. As a result, a powerful militant force suddenly forms in one place," Perendzhiev told RIA Novosti. He added that because of their covert movements terrorists have managed to take advantage of the surprise effect at the approach to Palmyra. At the same time, the Syrian Army did not have time and capabilities to protect the city and Syrian forces were forced to protect themselves. "This is not the first time the terrorists have applied this tactic, but we still don’t have countermeasures. The Academy of the Russian General Staff has not yet worked out clear and effective ways to counter this tactic. Lots of analytical work is to be done on the issue," the expert pointed out. 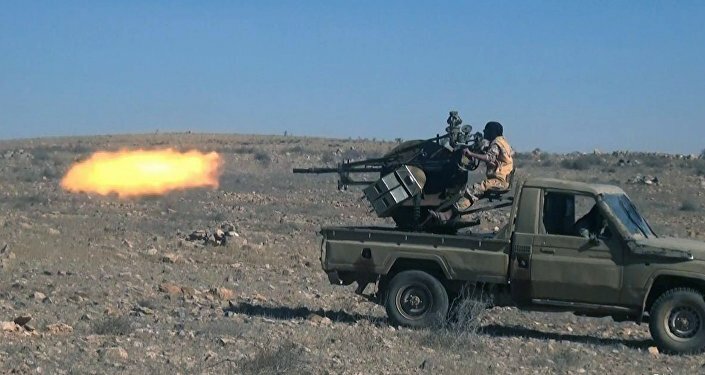 At the same time, Perendzhiev underscored that despite the lack of information about terrorists’ movements, the Syrian Army should have been prepared for a counter-offensive in Palmyra. The reason is the vicinity of oil derricks along the road to Raqqa and the terrorists plan to keep control over them. "The next move by the terrorists may be to take control over those oilfields. Crude from there is transported to Arab countries, including Saudi Arabia and the United Arab Emirates. The terrorists and their sponsors do not want to return those oilfields. This is why an offensive was started. Moreover, terrorists received reinforcements, arms supplies and medical assistance," the expert said. The Russian reconciliation center reported that militants redeployed forces to Palmyra from Raqqa where last week a United States-led international coalition suspended an offensive against Daesh. In addition, Daesh reinforcements and armored vehicles arrived to the area of Palmyra from Deir ez-Zor.